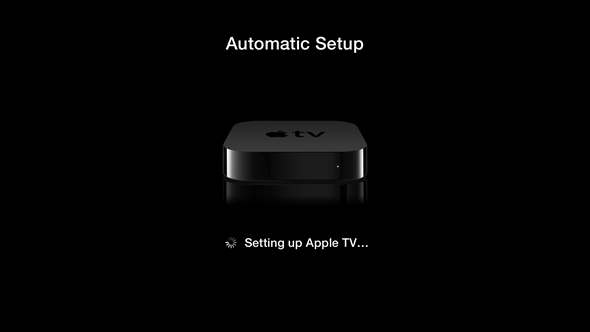 A recently created official Apple support document that outlines a newly implemented Apple TV setup process is managing to draw quite a bit of attention. 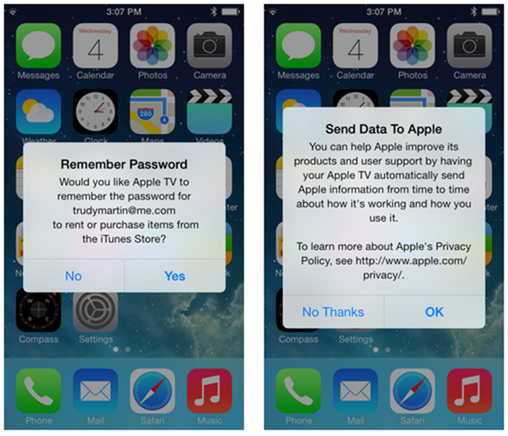 It outlines on how to set up a third-generation Apple TV unit by using an iOS 7 running device by a simple tap. It was originally thought that Apple would utilize their new iBeacons technology at one point in time in their new hardware. Instead they chose to subtly reference the technology on multiple slides at WWDC and hinted at the fact that they see it being an extremely important part of their products in the future. The newly created support document runs the user through the processes involved in using an iOS 7 running device to set up an Apple TV puck, but it does not use the iBeacons technology which Apple highlighted at WWDC, instead they’re using Bluetooth Low Energy for the whole process. 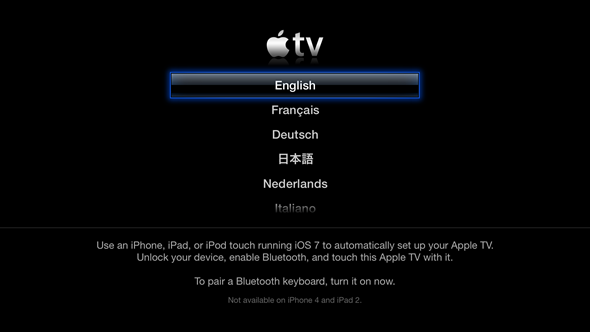 To be able to go through the process, the user must have a third-generation Apple TV running iOS 6.0 or above. They must also be in possession of a device running iOS 7 or above. The extremely handy process allows the user to transfer a bunch of information that can abstract a lot of the repetitiveness away from the initial setup of one of Apple’s set top boxes. The main Wi-Fi network information, iTunes Store account details and language and region format preferences can all be transferred across to the black box with minimal fuss. Although the process will more than likely prove to be extremely popular with those who hate entering in details over and over again, but it is worth noting that it will only work with a Bluetooth Low Energy based device, as we mentioned before at the start of this article. Also, keep in mind that a range of old hardware isn’t supported. 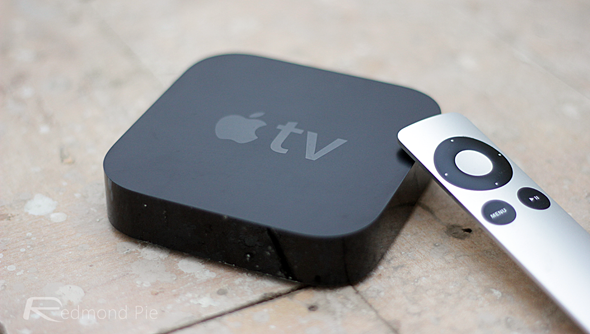 A third-gen Apple TV is a must, like we mentioned, and Apple has pointed out that the following devices will only be supported: iPhone 4s or above, 3rd-gen iPad or above, the iPad mini or the 5th-gen iPod touch. The ability to configure an Apple TV using an iOS device isn’t exactly going to separate Apple from the competition, but it’s great to see them actually doing interesting things with Bluetooth Low Energy and embracing the technology. Head over to the source link below to get a step by step guide on how to set up the whole thing.